For the characters, I wanted creatures that were flexible in what they could do (to give me a good scope for plot ideas.) I knew I wanted a natural setting and I did research into wildlife native to the UK. 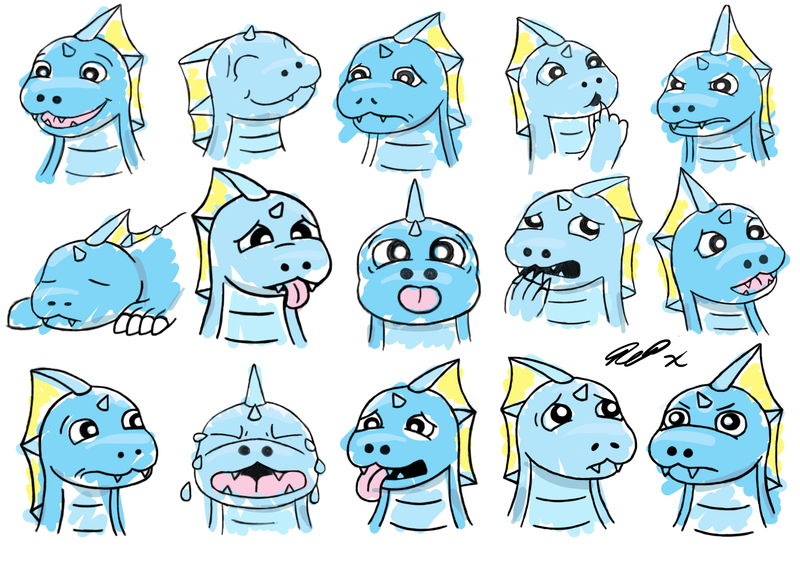 Initial sketch – designing the water dragons. I researched kids programs and characters and decided to try and design something fairly unique. I looked at designs of Pokemon (not just because I love Pokemon!) But one of the reasons why it was so successful was because of the appeal and design of the characters. You can’t deny that Pikachu isn’t a cutie! 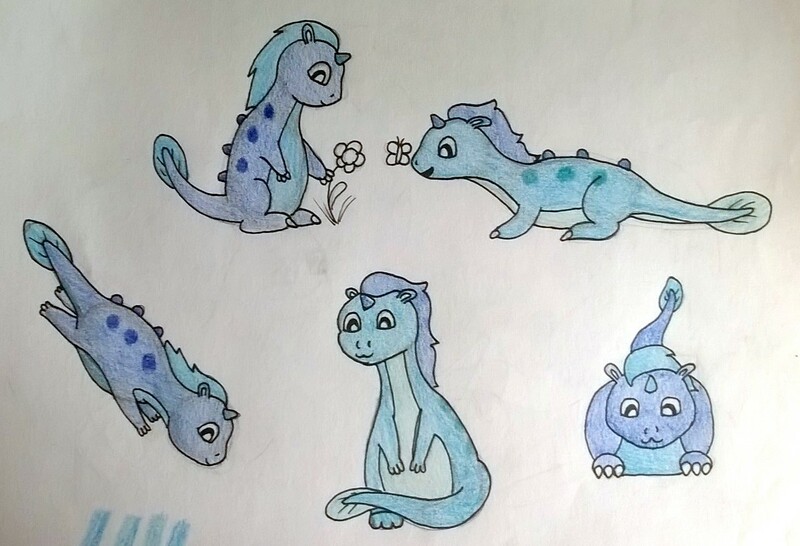 I based the design of my characters on newts. Amphibious, they can go in water and on land. 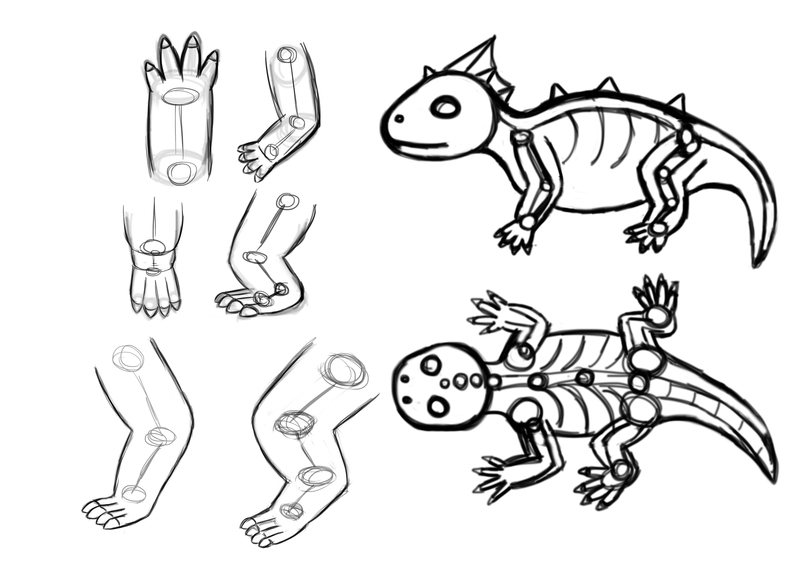 I designed my character’s anatomy, face, colour and design to be cute but realistically believable. Then I thought, kids love dragons right? And The Water Dragons were born. I’ve never done cartoons before! With practise and research I went from drawing creatures with little sausages for arms to something that actually has an anatomy and expressions. I did most of my learning as I went along, and I’m really happy with the end result. 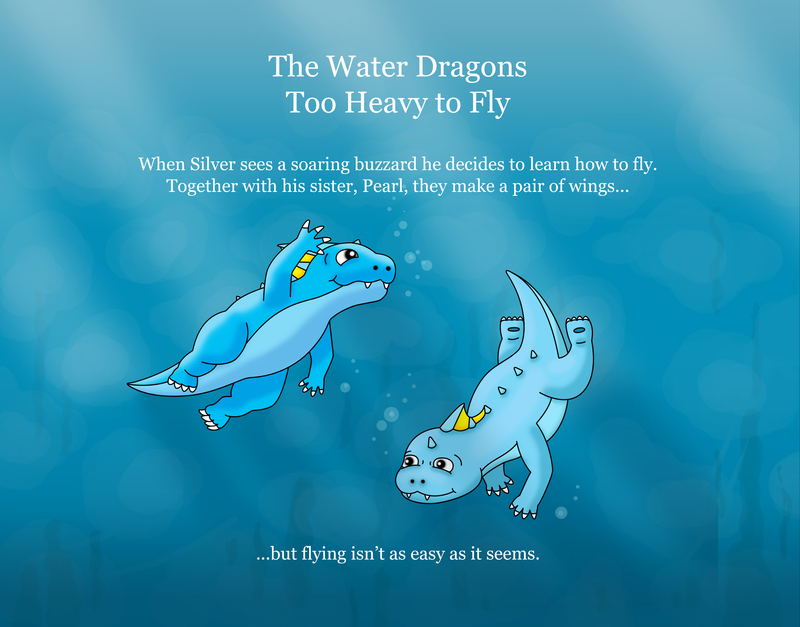 The Water Dragons: Too Heavy to Fly. Back Cover. Thanks for reading! I’d love to know what your favourite children’s character is and why. In my next article I’ll talk about the setting and how I created my artwork. ← Why I Decided to Write for Children.